You pay for an Internet connection for your home. You don’t really need a mobile plan with unlimited access to the net. You can save a lot of money in the long term if you cut out that expense. But you’ll still stay connected. Plus, if you travel abroad, why would you bother getting a local SIM card? It’s an additional expense that you can avoid. All hotels and hostels offer free Wi-Fi for their guests. Plus, you can access public Wi-Fi at airports and many other locations while you travel. But wait… is that safe? You’re not always in danger when you use public Wi-Fi. But you have to know that you can’t trust all networks. Even when you’re on a network by a reliable provider, you don’t know who’s on it. When you use public Wi-Fi, you’re vulnerable to hackers. You may be using a Wi-Fi hotspot created by hackers. This is a common trick that hackers use, especially in places with great frequency of movement. But if you access a fake Wi-Fi hotspot that hackers created, they will get access to all personal information you shared through your social media accounts. Your email address, for example. If you enabled file sharing, they will also access your files. Your device may also get infected by malware, which will give them access to all sensitive information. Think of private photos and even communication logs. Even if we’re talking about a public network at the airport or in the hotel, you’re still not 100% safe. Hackers may be on that same network. They can use the same strategies to gain control over your device and steal sensitive info from it. Hackers often use the so-called man in the middle attack technique. They come in the middle of the communication between you and the public Wi-Fi router. With that, they will see all the data you send and receive. Does this mean you should never use public Wi-Fi? No. You can use it, but you should be very careful while doing so. There are precise steps you can take in order to stay safe on public Wi-Fi networks. 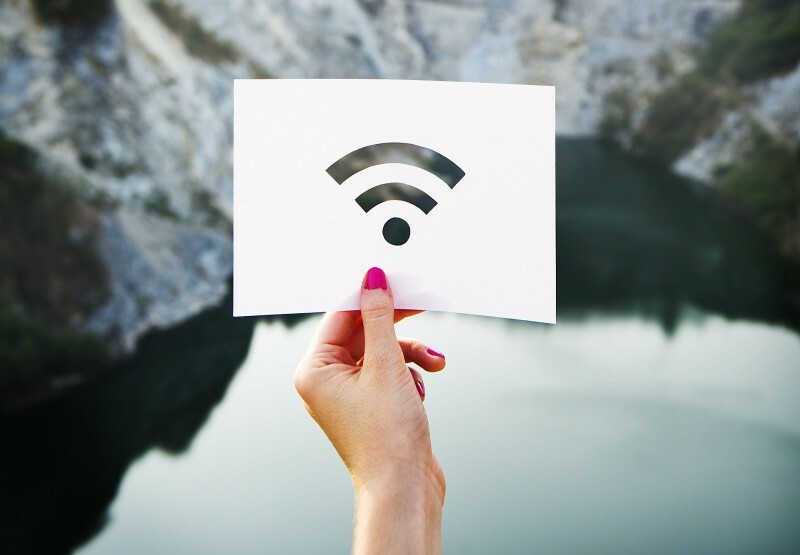 When you’re in the library, at the airport, in a cafe or anywhere where there’s an opportunity to access public Wi-Fi, ask what the official network is. This is the only way to avoid fake hotspots set up by hackers. Remember: even when you think you’re on a safe network, you’re not entirely safe. Always turn off the file sharing option. Do you want to access public Wi-Fi to check your Instagram? If you’re careful and you follow all other safety steps, you should be fine. But never use public Wi-Fi for sharing sensitive information. If you access a site where you’re asked for personal details, wait until you can use your private Internet connection. For example, you can access an Academized review over a public network. But if you want to order a paper from AssignmentMasters, you’d need to provide credit card info. It’s best not to use public Wi-Fi for that. The VPN will encrypt the data that travels from and to your device. In addition, it will mask your IP address and location. It practically makes things hard for hackers. Be careful; not all VPN clients are good enough. Read reviews and use one that you can really trust. When accessing a site, Google Chrome lets you know if it’s using an encrypted HTTPS connection. These sites don’t enable hackers to spy on the data that travels between their users and the server. Look at the beginning of the site’s address. If it’s an HTTP connection, it’s not encrypted. That means it’s less safe. If someone wants to trick your system with malware, you’ll be way safer with an antivirus installed on your device. It will detect malware and it will warn you about it. Always update your antivirus program, so you can stay protected against latest malware. Public Wi-Fi networks are convenient, especially when traveling. However, you have to stay aware of the dangers they impose. Never use a public network for any kind of financial transactions. Even if you plan to access social media or email, you still have to be careful. With the tips, we listed above, you should be safe.